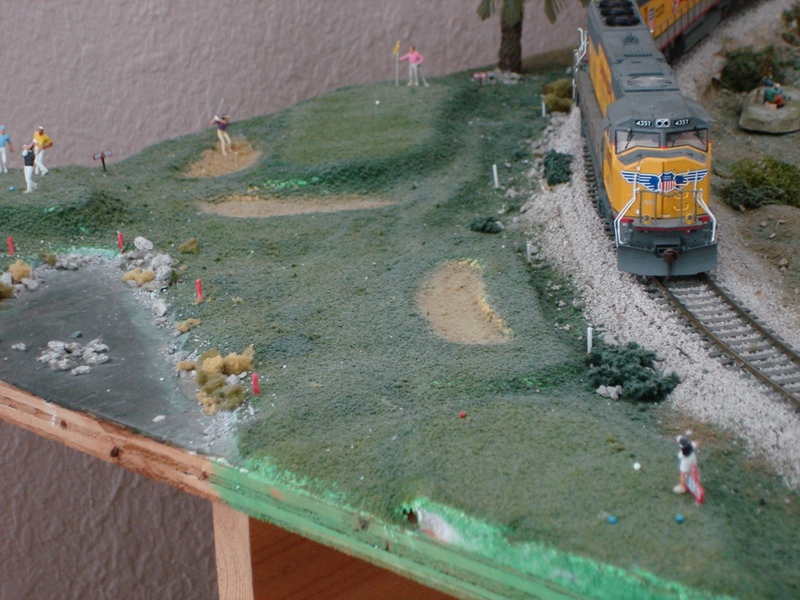 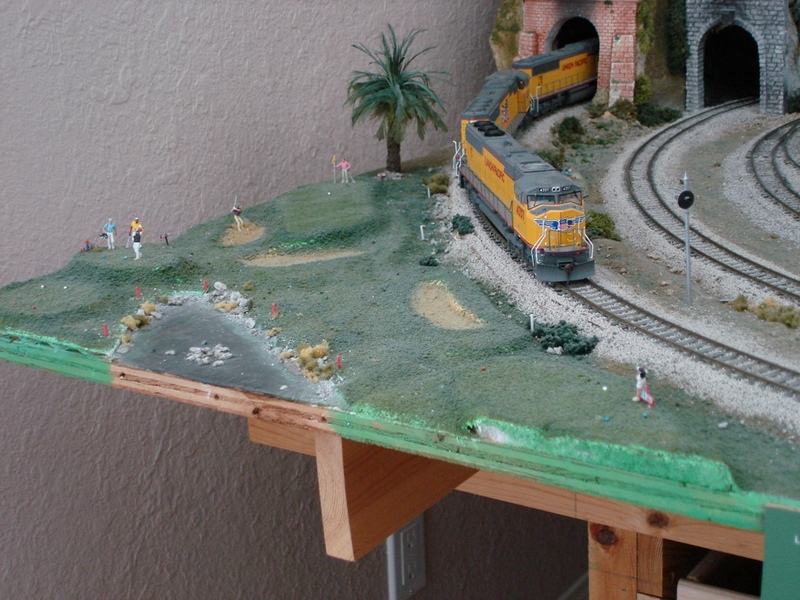 Located on the front left corner of the layout, holes 7 and 8 of the MANNM Country Club provide some interesting scenery for train crews and golfers alike. 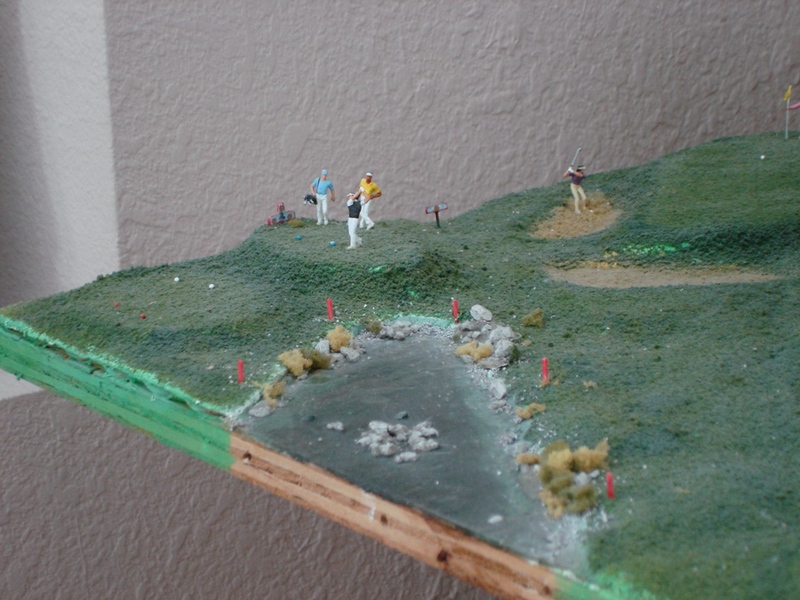 Golfers tee off on the Par 5 eighth hole as there is sand trouble back on the seventh. 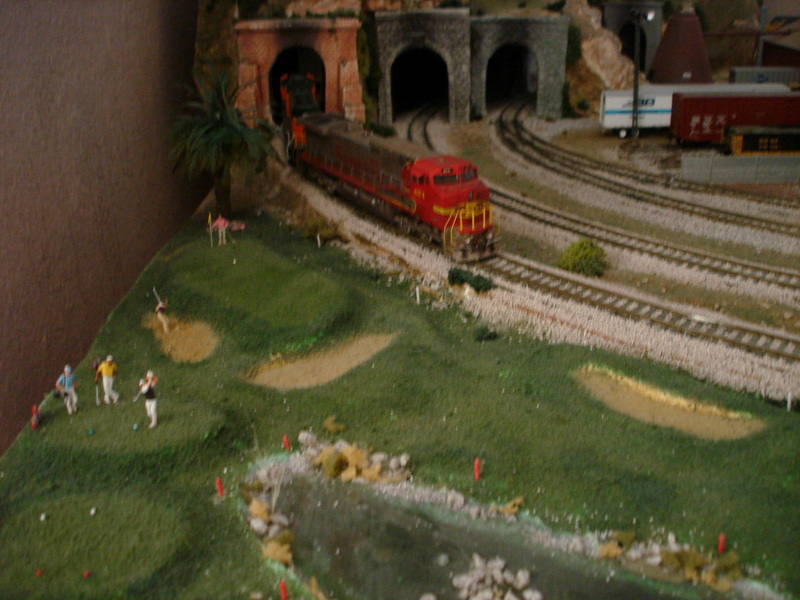 From the seventh tee box, golfers are faced with OB right, water hazard left, and a great view of the mainline.